Hearing your praise and success stories is why we love what we do! "We are moving back to California and will be leaving SWIMBABES. We really enjoyed your class and all the other teachers. We are very happy with John's progress. I hope we can find a school who's at least close to as good as yours." 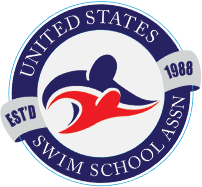 "Amazing instructors and swim program! I started taking my son to lessons at Swimbabes when he was about 8 months old. We went through two rounds of the intro class and two rounds of Basic Water Awareness. I couldn't believe the progress he was able to make at such a young age! He went from being scared of the water to being totally comfortable and excited to swim. Unfortunately, I had to discontinue his lessons because of my work schedule, but I hope to bring him back someday because of the great experience we had." We are taking a short break for the summer but we want you to know Lincoln really enjoys swimming and is constantly praised by other parents at his skill level for being just 4! I always recommend swimbabes there isn't another program I am aware of that teaches children so effectively in skills and safety!! It is truly an amazing program! You should be so proud of what you have accomplished in the community. More importantly in the countless little lives you prevent tragedies from occurring because they have practiced water safety and have the skills to swim or float if they get into trouble swimming or fall into a body of water!!! "We have never had to do this. Our last swimbabes class will be at the end of August. Wow!! 12 and a half years of coming to this location with our 4 girls - it will be an emotional moment for me. Thank you so very much for what you have taught my girls and making it all a great experience. The staff and teachers are incredible and teacher Kelly your amazing in what you do!!!! We will continue to tell people about your great program! The Petersons - Greg, Bieker, Ingrid, Grace, Audrey and Raquel"
My family loves Swimbabes! 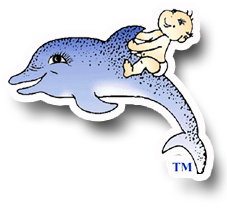 Both my daughters are currently taking swim lesson at Swimbabes, and have been since they were 2 years old. My oldest is now 6, and has learned so much, that she is competitively swimming on swim teams. The teachers are great, and really work with your child to get them over any fears they have. My youngest is 3, and she already is on her way to being a great swimmer. I can't say enough about the dedication and knowledge for swimming the staff has. I highly recommend Swimbabes! Amazing instructors and swim program! I started taking my son to lessons at Swimbabes when he was about 8 months old. We went through two rounds of the intro class and two rounds of Basic Water Awareness. I couldn't believe the progress he was able to make at such a young age! He went from being scared of the water to being totally comfortable and excited to swim. Unfortunately, I had to discontinue his lessons because of my work schedule, but I hope to bring him back someday because of the great experience we had. My kids are 1 and 3 years old and have been at swimbabies since they were 4 months old. It's a great program!! We have had class with all the teachers and think they are all great. I would recommend this program to anyone with kids. We just got the underwater video Ty filmed in Nov. I couldn't find a way to thank him but please pass onto him and your mom how wonderful it is! ! ! Not only the video but the music as well. I had to watch it twice right away. I love that she kept an eye on Tyler as it made the video even better. It's really nice to know what she's doing under the water! Thanks again for being such a special and wonderful place in our family. I just saw the news story on TV about Paisley and I was so happy to hear that you got some press about the amazing program that Swim Babes is. Both of my daughters (Jordin and Morgin Parks) have gone through Swim Babes and I can’t tell enough people about how amazing your philosophy and staff are about swimming. I was a competitive swimmer, so it wasn’t an option to have children that didn’t know how to swim. Initially, there was fear of the water by my girls until we moved away from the public pool lessons to Swim Babes. From the very beginning I knew that we were finally going to have kids that would be comfortable in the water and be able to enjoy how much fun it is to be in the water as a kid. As a parent, I would be able to feel confident sending them into the pool and they would know what to do if they got tired or couldn’t touch the bottom. After 4 years of coming to the Swim Babes pool at least once per week, next Tuesday will be our last lesson. It’s bitter-sweet for us because we LOVE watching our girls swim. They both primarily have had Susie as their teacher and she has done her job to perfection! Both of our girls can swim the length of the pool (multiple times) in all four strokes with pretty accurate breathing too. In my opinion, and Susie’s, they both should be on a swim team. However, it is not their passion. As much as Susie and I have tried to convince them to try, they just aren’t interested. So, we will move on with more dance classes for Jordin and signing up Morgin to try soccer because this is what they want to do. However, we go into summer knowing that when they swim 2 times per week during summer camp they will be ROCK STARS in the pool. And, don’t be surprised if you see us come back for some stroke refresher classes. You never know…maybe Jordin and Morgin will realize how much they miss the pool and try swim team after all. Thank you for all that you do and the lives that you effect. We are honored to say that our kids are a part of the Swim Babes family. "Our kids had taken other swim classes before starting with SWIMBABES and there really is no comparison. Within weeks of being at SWIMBABES, each of our boys were able to jump in and then quickly turn and float, a survival skill that will be with them for life. They are very comfortable in the water now and are good swimmers. When we are on vacation or at the community pool, we constantly get asked 'Where did your kids learn to swim like that so young?' I'm happy to tell them SWIMBABES!" 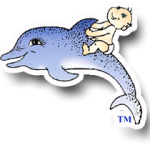 "Jackie is one of the most knowledgeable and experienced persons in the world concerning babies and children swimming. She has lectured in many countries all over the world and is always very well-received by all the parents and instructors in attendance. She is very personable and easy to work with. I highly recommend her for any activity or position she chooses to work in ." 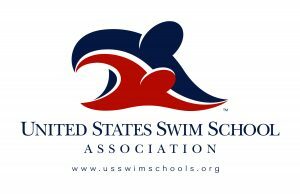 Thought you might be interested to know that our son Jack (former swim babe - now 7yrs old) finished 4th in the U8 division at the short course state meet in the 25 breast - he was one of only a handful of 7 yr olds that actually qualified to compete. Right now he is sitting in the top 5 for all 50's in U8 division for long course. State for long course is the end of July and he has already qualified to compete in 4 events. Big thanks to Teachers Jackie, Kelley, Susie, and Sarah - you guys taught Jack to not only love the water, but helped him become a really amazing swimmer.